Cargo vans have long been used by a variety of industries that require large amounts of storage room for things ranging from tools to additional space used to deliver flowers. 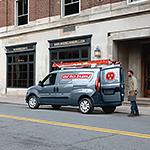 While the cargo space is impressive, drivers often overlook the many capability features. That is why we here at Laplante Dodge located right in Embrun are so excited to announce the arrival of the all new Ram ProMaster. 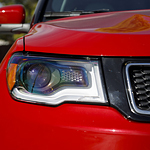 If you're in the market for a new vehicle, a Jeep Compass might be for you. It may be available at Laplante Dodge, but it may be possible to learn more by visiting or calling. One of the reasons why the Compass is such a popular vehicle is because its exterior has been designed with style in mind. 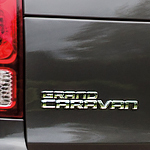 The 2019 Dodge Grand Caravan is a popular and roomy family size minivan. Even though this vehicle offers plenty of interior space, it also offers surprisingly green levels of fuel economy as well as a number of safety options. You know that the Chrysler 300 is a top-of-the-line vehicle the first time you step behind the wheel. 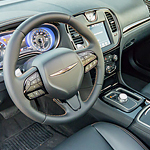 What you may not know is that advanced safety features are working behind the scenes of this popular full-size luxury class car. Let’s see what Chrysler 300 offers. 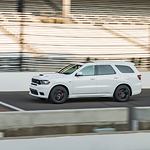 You don't have to compromise your personal style when you get the new Dodge Durango at Laplante Dodge. 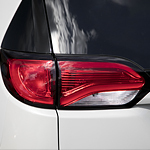 This popular mid-sized SUV has a beautifully designed exterior that's sure to turn heads. Best of all, it's available in a range of colors. While sedans have overall declined in popularity over the past few decades, there are a few standouts that remain strong. The Dodge Challenger, available at Laplante Dodge in Embrun is one of those standouts. This vehicle evokes the best of old school Detroit with a modern flair that keeps the brand and line relevant. However, this car is not just about muscle- in fact it has an amazing technology system that rivals anything in class. OEM Auto Parts and Generic Car Parts: What’s the Difference? If you were getting surgery then you would never opt for a cheaper and lower-quality procedure. You would want to be sure that you’re getting the best of the best. The same is true of the auto parts that you use to repair your vehicle. 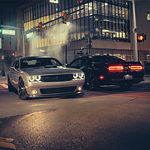 Genuine OEM parts are specifically designed for your Dodge model. They are engineered with quality in mind and tend to last longer than generic parts. While OEM parts cost more than generic parts, they can save you money in the long run. There are multiple different trim level options for the 2019 Jeep Grand Cherokee. Some are more ideal for the raceway while others are engineered to tackle off-road adventure. At first glance, it can be tough to find one that works for your lifestyle. Browse our breakdown below of some different Jeep Grand Cherokee buying options and let us know which one you rather have in your driveway.